This week San Diego’s PBS station aired “Wyatt Earp,” a new segment from the American Experience series. The one-hour program spends most of its time on the Tombstone years, remembered for the celebrated “Shootout at the O.K. Corral.” But San Diego history buffs know that Earp and his wife spent some time here during the “Boom of the 80s.” Unfortunately, the PBS program botches this local fact by saying the Earps moved to Los Angeles at that time, and then illustrates their mistake by showing an entry from the San Diego City Directory of 1889-90 (which the show’s writers seem to think was a Los Angeles directory). Wyatt Earp as he would have appeared in the 1880s. Which brings up an interesting question. 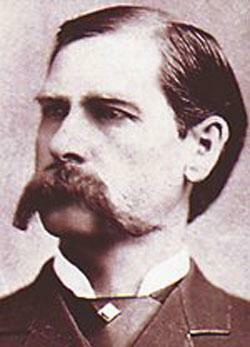 How much do we really know about the Wyatt Earp experience in San Diego? Not much, I’m afraid. While there is no shortage of popular secondary accounts of Earp in town, they all seem to repeat the same tired, poorly documented stories. We’re told the notorious gunfighter turned “capitalist” owned some San Diego property, ran card games, refereed boxing matches, and ran race horses—all of which may be true. But I’ve yet to see an Earp biography that corroborates these particulars with primary source citations, or demonstrates any attempt at research. Much of our local Earp knowledge comes from biographer Stuart Lake whose 1931 book Wyatt Earp: Frontier Marshall was based in part on his interviews with the gunfighter taken shortly before his death in 1929 in Los Angeles. An adept magazine writer, Lake penned a thrilling narrative with only scant commitment to historical accuracy. But the book sold well and created an enduring noble-Earp mythology. An early Hollywood take on the O.K. Corral, “My Darling Clementine,” was based on Lake’s book, as was the 1950s TV show starring Hugh O’Brian. Stuart Lake says little about San Diego in his book Wyatt Earp but an article in the September 6, 1957 edition of the San Diego Evening Tribune cites Lake for a few specifics. 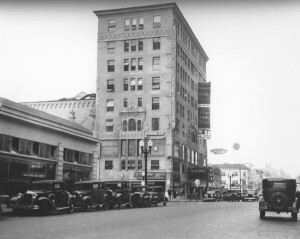 According to Lake, who lived much of his life in San Diego, Wyatt and his wife Josephine bought multiple lots of land in the downtown and Hillcrest areas in 1887. 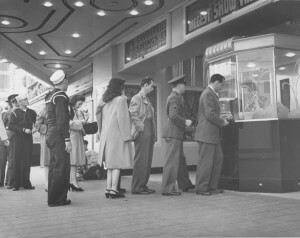 And Earp leased gaming concessions from several saloons. 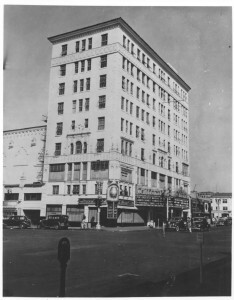 “It was a licensed, respectable business at the time,” Lake claimed. More San Diego information comes from Glenn Boyer’s 1976 title I Married Wyatt Earp, a book which purports to be based on the recollections of Earp’s widow. 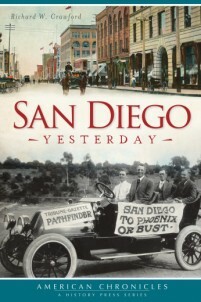 Boyer devotes an entire chapter to the Earp’s in San Diego with particular attention to the couples “horse racing days.” Alas, Boyer’s fidelity to truth seems even less than Lake’s and today, most historians believe the book’s sources to be spurious. Casey Tefertiller’s 1997 biography Wyatt Earp: the Life Behind the Legend is the most reliable Earp account seen yet. 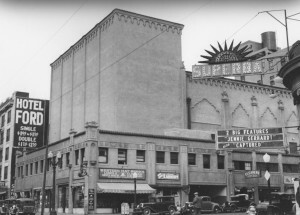 It is soundly researched and respected by historians and critics; regretfully, Tefertiller offers only a single paragraph on Earp in San Diego. There’s a new book on Earp that sounds promising. Garner Palenske’s Wyatt Earp in San Diego, Life After Tombstone (Graphic Publishers, 2011), tells “the real story of Wyatt Earp’s time in San Diego. . . a story that has never been told before.” We have that book on order here at the San Diego Public Library but as yet, it’s unseen.